Is there a better alternative to Events Maker? Is Events Maker really the best app in Photography category? 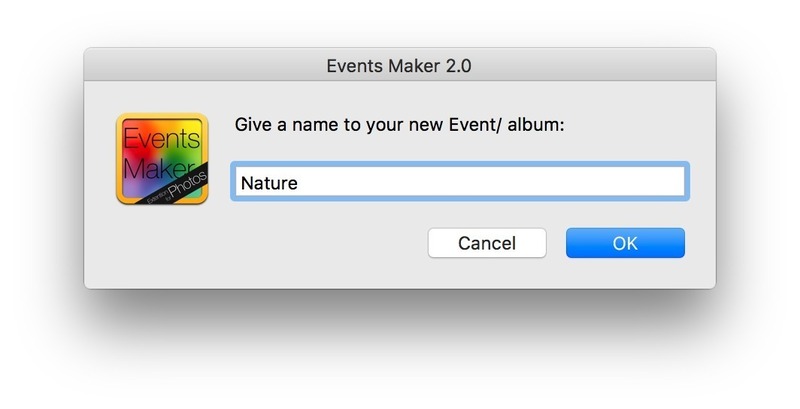 Will Events Maker work good on macOS 10.13.4? 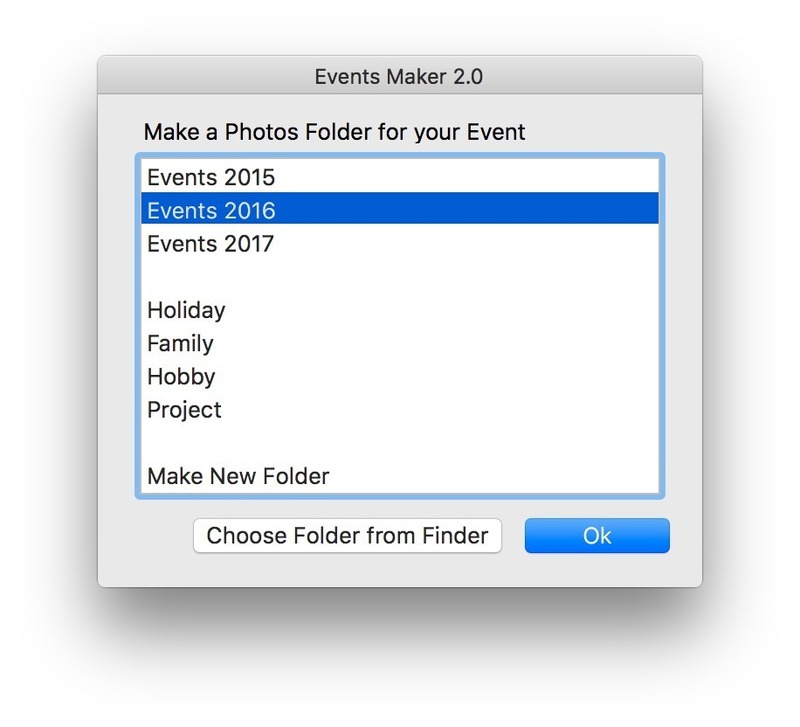 Events Maker is an extension for the "Apple Photos" that gives you back the "add name of Events" feature from "iPhoto" when importing videos and pictures together wit advanced folder features. Create folders for your Events so you can separate them after year, groups, projects etc. Upload existing folders from Finder to your Photos library as Events/Albums with all subfolders intact. Easily import Pictures to existing events by give the new event the same name as the existing one. Reported bug: If an event exists in a folder "example1" and you try to create an event with the same name in another folder named "exsample2" the pictures will likely not be added. This is a bug with Photos itself and has to be fixed by Apple. If this is the case, try again with another name, then it will work. Events Importer now takes advantage of the new folder feature in Photos to give you an even more powerful photo organising experience. With version 2.0 you can now also upload folders from Finder and let Events Maker create a new event with the name of your folder. This feature take care of your folder structure with all it's subfolders to make it faster than ever to import existing folders. The app is ideally suited for Photos users with a lot of pictures who want a simpler way to organize their library. Notes: A blank buffer-folder with an event/album of last imported content will be created the first time the app is used before the rest of the app runs. This buffer-folder is needed for folders to be created and should be ignored. It can be safely deleted but will be recreated on later use.